Join us for a powerful energy healing course using techniques of crystal, chakra and color therapy. Through this course, we will learn how to tap into the body’s self-healing ability, release and transform stress, worries and fears. Deep healing on all levels of physical, mental and emotional bodies will take place so that we can create the life of our desires. Usha Dobhal is an evolved spiritual Teacher and Healer, who is also the co-director and founder of the Buddha Hall Holistic Healing & Teaching Center. She regularly conducts workshops across India and around the world on Healing and self-empowerment. 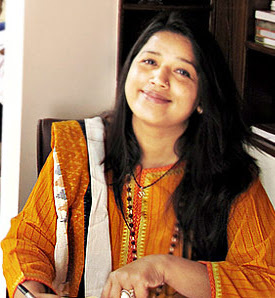 With her post graduation in alternative meditation, naturopathy, and energetic mastery, Usha is a unique combination of eastern spiritual wisdom and western therapeutic knowledge. Teaching from personal life experiences, Usha guides people in awakening and living from the highest potential inherent within them.